Recently, the international community has been witness to ever increasing tensions in the East and South China Seas as a result of territorial disputes between China and its neighbors. Scholars and experts have noted that these tensions threaten – not only the relations between China and its neighbors – but also the stability, peace, and prosperity of the region. Easing tensions in the East and South China Seas is of critical international importance. In order to help advance the efforts to ease tensions, the Boston Global Forum (BGF) has implemented its new Boston Global Forum Initiative, which seeks to aid in resolving disputes and conflicts between China and Japan, China and Vietnam, and China and the Philippines. BGF will organize an international conference on the topic and asks that Secretary of State John Kerry joins us as the conference host. We ask that Secretary Kerry invite distinguished participants, such as Shinzo Abe, the Prime Minister of Japan; Li Keqiang, the Premier of China; Nguyen Tan Dung, the Prime Minister of Vietnam; and Benigno Aquino III, the President of the Philippines. Additionally, the conference will include many observers who are integral to the region, such as the Prime Ministers and/or Presidents of Indonesia, Australia, South Korea, Indonesia, and Malaysia. Additional attendees such as Ban Ki Moon, Secretary-General of the United Nations; Professors Joseph Nye and Ezra Vogel of Harvard University; Tommy Koh, Former Ambassador of Singapore to the United States and International Lawyer; Chan Heng Chee, Former Singapore Ambassador to the United States; Governor Michael Dukakis, Chairman of Boston Global Forum; and Nguyen Anh Tuan, Editor-in-Chief of Boston Global Forum. The conference will be a crucial component of the Boston Global Forum’s year-long effort to encourage peace and understanding amongst China and its neighbors. In addition to the conference, BGF will advise several other actions to promote peace and stability in the South and East China Seas. First, the Boston Global Forum calls on the international community, including the United States and the European Union, to closely observe the tensions surrounding China’s oil rig in the waters off the coast of Vietnam, and, to send naval vessels to observe the crisis and deter conflict. Secondly, the Boston Global Forum will award the “BGF Global Media Award,”which will honor the best ideas and products to deter conflict in the East and South China Seas. The award ceremony will take place on Oct 3, 2014, at the historical Loeb House at Harvard University with world leaders in attendance. The award winners will be honored and archived in the Boston Global Museum. Finally, the Boston Global Forum will host a global art competition called the “Art Competition for Peace in Asia Pacific”. The art competition will be a component of the BGF Global Media Award. The Boston Global Forum encourages people from around the world, particularly countries such as China, Japan, Vietnam, and the Philippines to participate in the competition. Entries to the competition will consist of multimedia productions that call for peace in the Asia Pacific Region. The recent tensions in the East and South China Seas have been a cause for concern. However, by bringing the international community together through the Boston Global Forum Initiative, the Boston Global Forum hopes to help ease tensions and prevent future conflicts. We sincerely hope that Secretary John Kerry will host this important meeting and that the leaders of China, Japan, Vietnam, the Philippines, and neighboring countries will attend the conference. The international community’s role is also integral, and we hope global citizens will participate in the BGF Global Media Award and global art competitions. Through international cooperation, we can ensure that Asia remains peaceful, stable, secure, and prosperous. 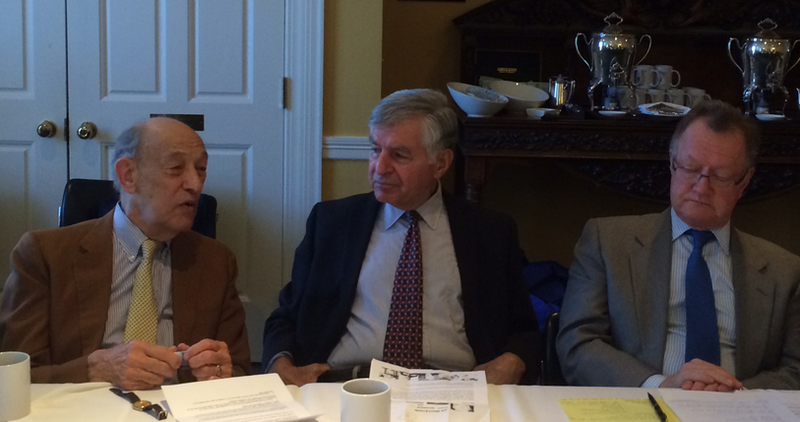 Governor Michael Dukakis, Chairman of Boston Global Forum.